Historic amounts of snowfall in the Truckee/Tahoe area have created one of the best ski seasons in recent memory, but also challenging travel conditions. 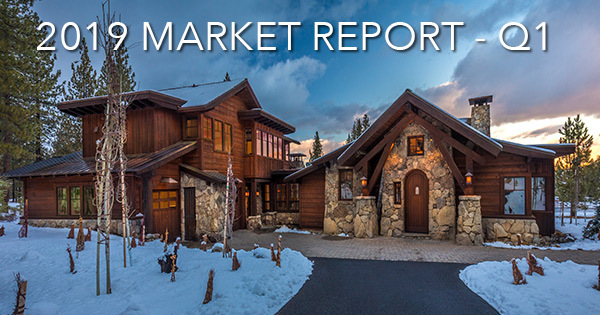 Those that made it up during the winter witnessed snow of epic proportions, however the Lahontan real estate market experienced a decrease in overall buyer traffic with first quarter sales results slightly off from the same period in 2018. 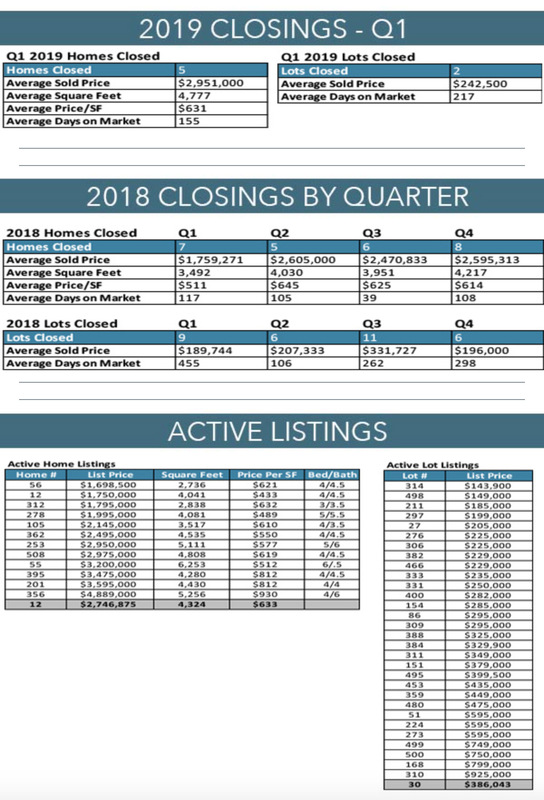 In total there have been 5 homes and 2 lots closed in the first quarter of 2019 as compared to 7 homes and 9 lots in the first quarter of 2018. During this historic winter, Lahontan Realty also set a record with the sale of their listing at 12355 Lodgetrail Dr. for $4,600,000 establishing the highest priced home sold in Lahontan in the past 4+ years. The Lahontan Realty team’s specialized approach and expertise to Lahontan and Martis Camp continue to produce incomparable results for buyers and sellers. Now that snowbanks are receding and spring ski conditions are in full effect, Lahontan is experiencing increased buyer traffic, indicating pent up demand as we enter the spring season. Inventory within Lahontan remains relatively low with 12 homes for sale (ranging from $1,698,500 to $4,889,000) and 30 lots for sale (ranging from $143,900 to $925,000) still offering a good selection of product across varying price points. The extensive renovation of the Tom Weiskopf Golf Course greens and additional family programming at Camp Lahontan is adding to excitement for both members and prospective buyers as we head into the magic of spring and summer at Lahontan. The Lahontan/Martis Camp Realty team is the #1 producing Brokerage in the Truckee/Tahoe area with over $2 Billion in total sales at Lahontan and Martis Camp. Whether buying or selling property, our team’s extensive market knowledge, a sales office at the entry to Lahontan along with in-house marketing/contracts coordinators have delivered the highest levels of professionalism and proven results. We would welcome the opportunity to share our expertise with you.